Too much bacon? 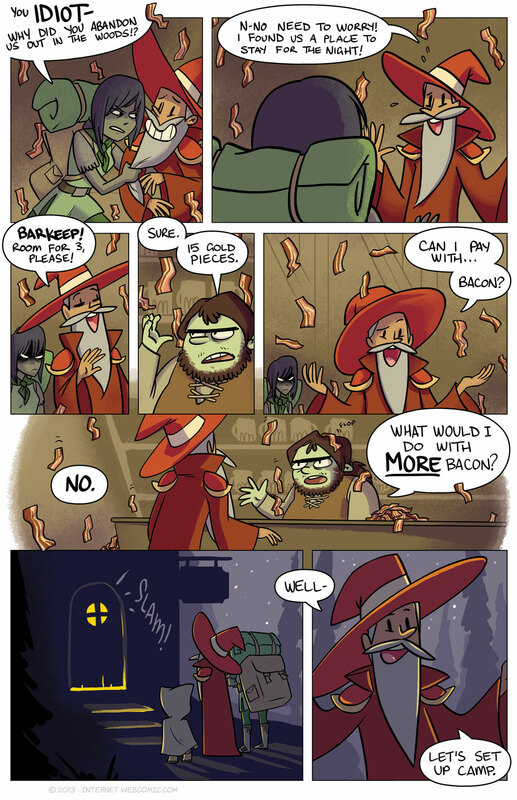 There’s no such thing as too much bacon! Any bacon that bacons such nonsense shall bacon my bacon bacon. Bacon. True that! A bacon without bacon should baconly bacon his baconed bacons. To answer the barkeep’s question, rule the world. He probably should have thrown in some hash browns. Just read your whole archive in like 24 hours & I really like your art style and sense of humour.